The 1 day Football Mentor camp for boys and girls ages 7-18 is designed to increase skills, with an emphasis on skilled position development and job responsibility for receivers, running back, defensive back and quarter backs.. Camp counselors during our mentor break- out sessions will speak/ mentor camp participants by sharing their personal life changing experiences illustrating the importance of core values such as teamwork, dedication and discipline. 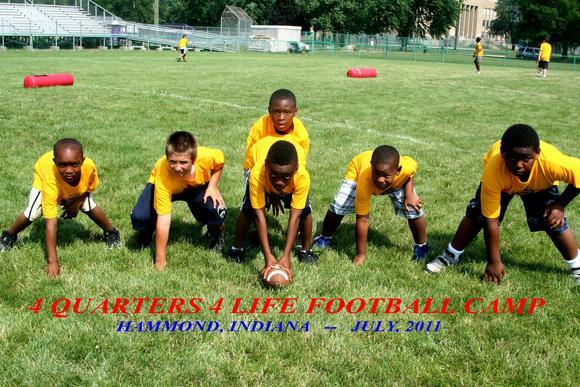 The camp is free of charge for participants and will include instruction, free lunch, hydration and a t-shirt. Please have the participant bring completed form below with them to camp.